MIAMI BEACH, Fla. (BRAIN) — On the final day of the BRAIN Dealer Tour, our group rode through downtown Miami — past skyscrapers, the Miami Heat's American Airlines Arena and across the yacht-strewn Venetian Causeway — on our way to South Beach. The area has seen commercial rent prices skyrocket. SOUTH MIAMI, Fla (BRAIN) — From the sunny parking lot of Mack Cycle & Fitness, Mary Jane Mark points across Sunset Drive, the street where more than a half century ago her father built a store that is now a local landmark. MIAMI (BRAIN) – Rolling from The Mutiny Hotel in Coconut Grove on a balmy 75-degree morning, the BRAIN Dealer Tour immediately got a taste of what cycling in Miami is like. MIAMI (BRAIN) — J&B Importers has built wheels by hand since the Miami-based distributor was founded in 1971. In the early days, current vice president Ben Joannou Jr. and a friend would spend Saturdays building up wheels. MIAMI (BRAIN) — Bicycle Retailer & Industry News editors and sponsors roll out Tuesday morning on a three-day tour of bicycle stores in Miami for the first BRAIN Dealer Tour of 2014. SEATTLE, WA (BRAIN) — The chilly third and final day of BRAIN's Dealer Tour of Seattle started and ended in a shroud of fog, giving us a true taste of late fall in the Pacific Northwest. SEATTLE, WA (BRAIN) — Before crossing Puget Sound to Bainbridge Island to visit BI Cycle and Classic Cycle, Day 2 of BRAIN’s Seattle Dealer Tour got under way with a sampling of urban riding highlighting the accomplishments of local advocates as well as the challenges they face in fostering two-wheel transit here. SEATTLE, WA (BRAIN) — The retailers were as varied as they come on the first day of BRAIN's Dealer Tour of Seattle. The tour started at mega-retailer REI's flagship store, a stunning and expansive retail space that caters to commuters and families. SEATTLE, WA (BRAIN) — BRAIN editors, sponsors and industry guests are hitting the roads of Seattle, on bike, Tuesday on the first day of a three-day tour of the city's retailers. 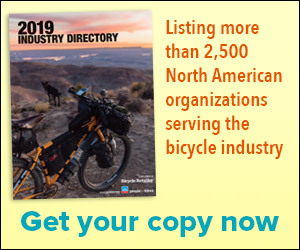 LAGUNA HILLS, CA (BRAIN) — Bicycle Retailer & Industry News staff will visit retailers in Miami, Salt Lake City and Austin next year as part of the magazine’s popular Dealer Tour program, which first launched in the fall of 2008. More city dwellers are braving winter conditions and riding year-round, retailers say. CHICAGO, IL (BRAIN) — Perhaps it’s the growing network of bike paths, trails and green lanes. Or Chicagoans coming to the realization that it takes longer to drive somewhere than to bike. Many of Chicagoland's shops are passed down from generation to generation. CHICAGO, IL (BRAIN) — If there was one common thread among the four shops visited during the first day of the Chicago Dealer Tour, it’s that the retail business here is a family affair. CHICAGO, IL (BRAIN) — Bicycle Retailer & Industry News editors and sponsors roll out Tuesday morning on a three-day tour of bicycle stores in Chicago.